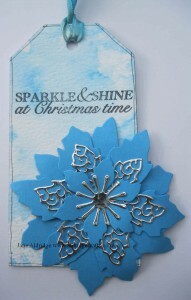 Both have been created using the Stix2 White tags, Distress Markers and a Tattered Lace Die design. 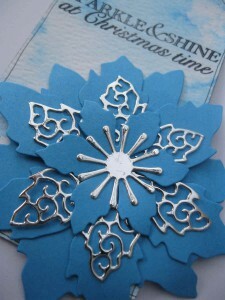 This lovely Poinsettia is the Lavish Poinsettia die from Tattered Lace (new stock has arrived today!) 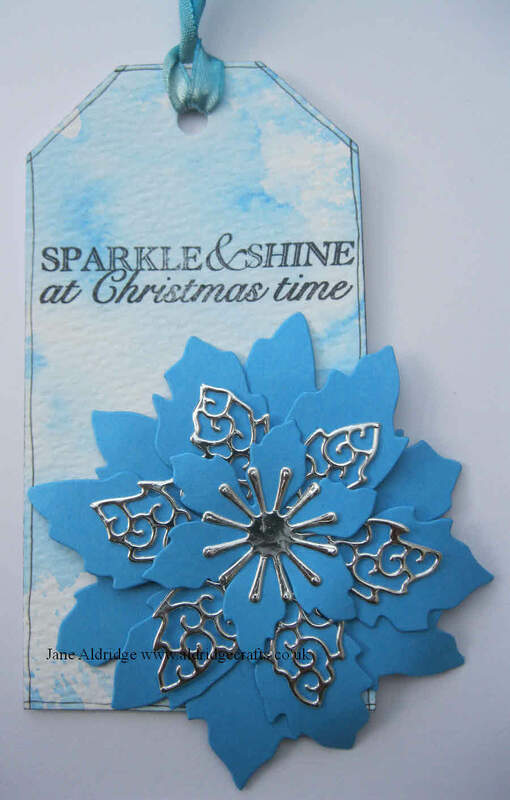 I like this die as it has lots of components to it and can be used out of Christmas season as a pretty flower. The main base flower is also a good size flower design too. I’ve cut my layers from a blue cardstock and used silver mirri card for the frilly bits. If you are cutting a really detailed die from mirri card, be patient, I ran mine through the cuttlebug back and forth, then moved it to a different position on the cutting plate and did it again, and sometimes you might have to cut a third time, only because with some dies they are just so detailed that a heavy cardstock such as mirri takes a few goes. The stamp is the greeting from the Woodware Bubble Bloom Festive Tree set.